Serial entrepreneur Norman Crowley's first business was so successful that he could have retired as a millionaire at the age of 28. Instead of putting the feet up, he kept going and is now driven by the desire to combat climate change. To this end, he established Crowley Carbon in 2009 as a business with a specific vision to assist corporations in their efforts to reduce the overall energy consumption of their businesses. 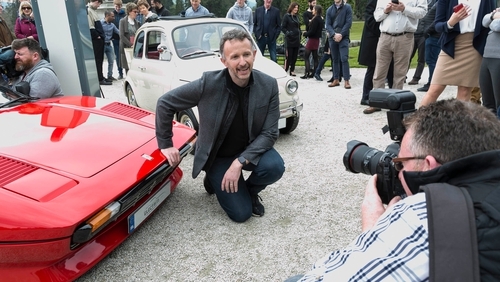 His latest venture Electrifi aims to revive the car manufacturing industry in Ireland and create a catalyst for others to follow. Electrifi is to invest €50m over the next three years to develop a range of high-performance electric cars in Co Wicklow. Electrifi will initially take some of the world's most iconic classic cars from Ferrari, Lamborghini and Aston Martin, and modify them into electric vehicles with Formula 1 style performance. The cars will be rebuilt and optimised with the latest technology and powered by Tesla batteries and motors.